The US National Security Agency reportedly believes hacktivst collective Anonymous could soon wage attacks on key US infrastructure. Anonymous says such accusations are nothing but ridiculous fear mongering. The United States government and hacktivist collective Anonymous aren’t what you would call “friends.” After Anonymous’ ongoing barrage of distributed denial of service (DDoS) attacks on various .gov websites, the National Security Agency (NSA) is reportedly concerned that the hackers may soon upgrade their attacks to full-blow assaults on key US infrastructure, like the electrical grid. This goes on, and on, with quotes from academic experts about how Anonymous is really just hankering to shut down electricity in lower Manhattan as a way to take out the stock market, and other such warnings. 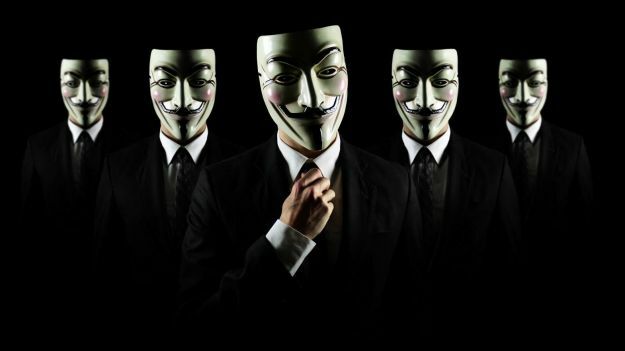 What it does not say, however, is that Anonymous has repeatedly said that Operation Global Blackout is “fake,” and that active Anonymous members have no such plans to shut down the Web. In response to the Wall Street Journal article — for which, incidentally, the NSA refused to comment — a variety of known Anons have refuted the article as complete nonsense. In other words, it is not in Anonymous’ interest to wage such an attack. Of course, anything is possible. Nobody — not you, not me, not the NSA, and probably not even many people who consider themselves part of Anonymous — know what hackers will do in the name of Anonymous in the coming months and years. What we do know, however, is that Anonymous, through its website take-downs, has made the FBI, CIA, Department of Justice, and other federal government agencies look woefully unprepared to deal with digital threats. So it’s no surprise that the US government would want to make people believe Anonymous are bad guys. That said, cyberattacks are a genuine concern. Countries like China and Russia are believed to be developing techniques that could, in fact, disrupt key infrastructure in the US. And that needs to be taken seriously. In its 2013 budget proposal, the Obama administration listed cyberattacks as one of many “emerging threats for which the United States must be prepared.” White House spokeswoman Caitlin Hayden tells WSJ that this includes attacks “from other nations, cyber criminals, or from stateless activist hacker groups” — i.e. Anonymous. Regardless of Anonymous’ capabilities and motivations, it’s clear that the online world will become increasingly instrumental in affairs of national security in the years to come. And the true bad guys will come from far and wide. But for now, at least, Anonymous doesn’t seem to be much of a concern. Remember, in the world of cybersecurity, it’s not the hackers who publicly announce their latest exploits for all the world to hear that you have to worry about — it’s the ones who stay silent and hidden.